Research shows that experiencing trauma during childhood can have lifelong effects. Facing adversities such as abuse, neglect, witnessing violence in the home, and having a parent in prison can put individuals at risk for depression, insecure employment and job loss, substance use disorders, and even heart disease. In 2012, a small group of pediatricians came together to find ways to mitigate the impact of childhood trauma. 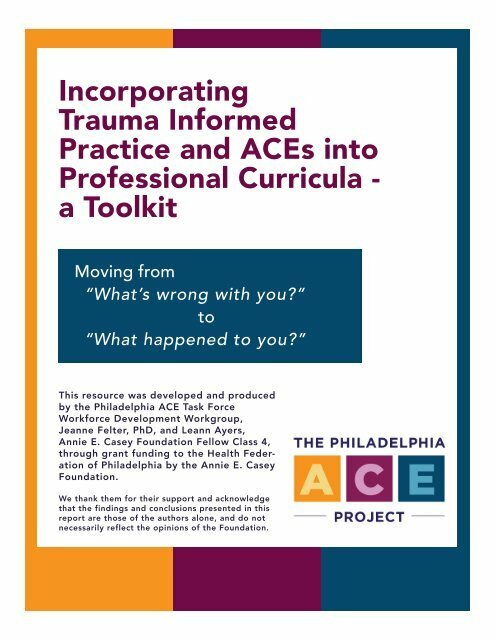 It was from these initial convenings by the Institute for Safe Families that the Philadelphia ACE (Adverse Childhood Experiences) Task Force was born. Today, the Philadelphia ACE Task Force has grown to become a network of more than 100 individuals from medicine, behavioral health, nursing, community leaders, education, law, philanthropy, concerned residents, and others who are committed to building a resilient Philadelphia. 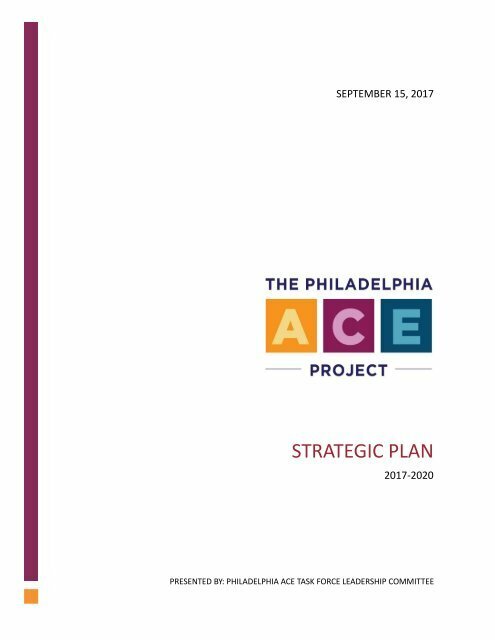 Working in collaboration to provide opportunities for cross-sector learning, promote new research, advocate for systems change, and engage the community-at-large, the Task Force aims to reduce the incidence of adverse childhood experiences and trauma and promote healing for all Philadelphians. Scattergood Foundation staff have played an important role in the Task Force since its beginnings, as a member, backbone organization, and now in a leadership capacity on the Steering Committee. Throughout our time with the Task Force, we have managed key initiatives, planned events, tracked and monitored evaluation data, and lead strategic planning efforts.